NHÂN QUYỀN VÀ TỰ DO: Đại Hội 12 của ĐCSVN có sẽ thay đổi chính trị Việt Nam không? Đại Hội 12 của ĐCSVN có sẽ thay đổi chính trị Việt Nam không? In 2016, Vietnam’s ruling Communist Party (CPV) will convene its 12th congress to select new leaders for itself and the country it rules. With new leaders will come new policies, but those who hope for the second coming of reform (doi moi lan 2) will likely be frustrated. Any changes will be insufficient to turn Vietnam into a new Asian tiger. Paradoxically, what is commonly called the reform era in Vietnam is not a period where reform prevails. The collapse of communist regimes in Eastern Europe in the late 1980s was a traumatic experience that defined the strategic outlook of Vietnam’s ruling class in the following decades. As a result, the leitmotif of doi moiis not reform but stability uber alles. When faced with a choice between continuity and change, Vietnam’s ruling elite opted for ‘continuity plus’, where the ‘plus’ is often kept minimal. Although the commitment to reform was reiterated each time the Communist Party convened its national congress, each time it chose a conservative as its general secretary and as the country’s supreme leader. The regime has systematically pursued measures aimed at maintaining its grip on power. These include granting financial and operative privileges to the military, security and police forces. Successive Communist Party chiefs have also all sought a strategic alliance with China to secure foreign support for the regime. Another policy is to promote ‘red princelings’ to leadership positions. The conspicuous cases of the sons of the former Party chief, Nong Duc Manh, and the current Prime Minister, Nguyen Tan Dung — who are now unusually young members of the Party Central Committee — are only indications of a more general phenomenon across all levels. While these measures created structural resistance to change, three decades of doi moi have also created an environment that necessitates change. Domestic sentiment is clearly in favour of the free-market system and a security alliance with the West. A survey conducted by the Pew Research Center in 2014 shows that 95 per cent of Vietnamese respondents support the free market. When asked in another 2014 Pew survey, what country Vietnam could most rely on as a dependable ally in the future, 30 per cent of respondents thought the United States, 25 per cent believed Russia would be a dependable ally and 15 per cent said Japan. The last decade also saw civil society on the rise despite the fact that the Law of Associations, a general code that is intended to regulate civil society groups, is still pending after 23 years of drafting. Thanks to social media, people are now able to build networks, share ideas, have their voices heard and coordinate actions outside what the government can easily control. Indicative of this are the recent protests against a tree-felling plan by the local government in Hanoi, spurred by journalistTran Dang Tuan. Growing ‘blogger power’ is a voice the government ignores at its own peril. Partly intertwined with the rise of civil society is the return of patriotism, which in its contemporary form tends to be anti-China and pro-Western. Suppressed during the 1990s and 2000s, this nationalist sentiment has been reinvigorated by the conflict with China in the South China Sea. Such sentiment has recently exerted substantial pressure on the government to veer away from the Chinese orbit. Pressure for change also comes from the economy. While it has been growing at between 5 and 6 per cent a year, Vietnam’s economy is qualitatively stagnant. As an indicator of institutional reform and technological innovation, total factor productivity contributed only 6.4 per cent to GDP growth in the period 2007–2012. With pressure for change mounting, leaders are compelled to act. But instead of deepening reform in accordance with the calls of a growing chorus of intellectuals, Vietnam’s rulers have taken a different path. The mixture of communism and capitalism in the doi moi era has promoted rent-seeking activities that use power to make money and use money to buy power. By 2006, rent-seekers became the dominant bloc in the ruling elite and the Party Central Committee. As such, they were able to thwart the anti-corruption campaignchampioned by Party chief Nguyen Phu Trong and rescue Prime Minister Nguyen Tan Dung from attempts to unseat him. At the same time as resisting reform, rent-seekers are flexible enough to shape a new regime that suits their interests. Their ambitions and internal rivalries will be the biggest wild card in the run-up to the 12th CPV Congress and in the years to come. Alexander L. Vuving is Associate Professor at the Asia-Pacific Center for Security Studies. The views expressed in this article are the author’s own and do not reflect those of the US government, the Department of Defense, or the Asia-Pacific Center for Security Studies. Perkins, Dwight H., 2013, East Asian Development (The Edwin O. Reischauer lectures). Harvard University Press. Kindle Edition. Vietnam’s economic reforms are important in their own right, given that Vietnam is the thirteenth largest country in the world in terms of population and has proved to be able to “punch above its weight” in both economic and geopolitical terms. In the context of this study, however, Vietnam’s recent experience is also a test of whether the Chinese reform experience was unique to China or was equally valid elsewhere. Vietnam began its reforms later and from a different point from China. Prior to 1986 Vietnam was still trying to implement a Soviet-type system— specifically, it was trying to impose that system on the market economy of the southern part of the country after reunification was achieved in 1975. There were some of what the Vietnamese call “fence-breaking” reforms in the early 1980s, but for the most part these were the kind of reforms designed to make the command economy work better, not to replace it with market forces. Officially the Vietnamese economy grew throughout the 1980s, but the actual performance was poor enough, particularly in agriculture, that the country experienced serious famine and malnutrition in the winter of 1987– 1988.35 Furthermore, much of the growth actually achieved depended on large subsidies from the Soviet Union. Vietnam’s imports from 1985 through 1987 rose from US $ 1,590 million to US $ 2,191 million, but the deficit with the Comecon countries (in effect an explicit or implicit subsidy for the Vietnamese economy) rose from US $ 721 million in 1985 to US $ 1,276 million in 1987. The leader of the post-1975 effort to impose collective agriculture and central planning on the southern part of the country, Party Secretary General Le Duan, died in July 1986, but by then many in the Party realized that the efforts of the past decade had gone badly and needed to change. At the Sixth Party Congress in December 1986 they elected the reformer Nguyen Van Linh as general secretary. What really accelerated the need for radical change, however, was the collapse of Soviet control of eastern Europe in 1989 combined with the Soviet Union’s own worsening economic conditions and its eventual breakup in 1991. The willingness to continue economic subsidies to Vietnam ended by 1989, even before the breakup of the Soviet Union. As the data on Vietnam’s trade in 1988 make clear, the end of subsidies meant that Vietnam had to find an alternative way of paying for 62 percent of its imports. The alternative, cutting back imports of this magnitude, would have thrown the country into a deep recession. For those familiar with the Vietnam of the twenty-first century, it would be hard to recognize the country in 1989. When I led a small delegation to Vietnam in January 1989 to explore whether the Harvard Institute for International Development could help in making the transition to a more market-oriented economy, there were very few shops of any kind in Hanoi, and the shelves on most of them were empty. The situation in the Mekong delta was marginally better, largely because it was possible to smuggle in goods such as Johnny Walker Scotch, Kodachrome Film, and motorbikes through Cambodia. The leadership, however, was clearly ready for fundamental change and had begun to take steps in that direction. Our host at the time, Foreign Minister Nguyen Co Thach, had just been reading Samuelson’s textbook Economics in an effort to learn about how market economies worked. By my next visit a year later the streets of Hanoi were full of shops, and the goods were flowing out the front door onto the street. Televisions sets, beer, and numerous other consumer products from all over Asia were there for purchase if one had the money. What had happened was that Vietnam had freed up virtually all prices and removed most restrictions on imports, and if there were still some restrictions, no one seemed to be enforcing them. When Vietnam began its transition to a market economy, however, it had two major problems that were absent in the Chinese case (although they were also present in the Soviet and eastern European transitions). The first problem was the one already mentioned: the huge foreign trade deficit. The second was that the country was suffering from a very high rate of inflation. The solution to the end of Soviet subsidies and the financing of the trade deficit was partly the result of the reform effort and partly due to luck. As for the lucky part, Vietnam in a joint venture with the Soviet Vietsovpetro had been drilling for oil off the coast of Vung Tau in the southern part of Vietnam, and the wells began producing in 1989, providing Vietnam with several hundred million dollars of foreign exchange. As for the reform part, the end of the effort to collectivize agriculture in the south, together with the freeing up of prices of farm products, led to a boom in rice production, the elimination of any need for rice imports, and the renewal of Vietnam’s traditional role as a rice exporter. Oil and rice exports (and the end of rice imports) together filled roughly two-thirds of the foreign exchange gap in 1989 and 1990. Foreign aid from the West, Japan, or the World Bank, it should be noted, did not play any role. Vietnam was still subject to a total embargo with most Western countries plus Japan, and the World Bank as a result was also not allowed to lend to the country. In freeing up prices and opening to foreign trade, Vietnam did not follow the Chinese dual-price approach of the second half of the 1980s. With the exception of a handful of energy-related products, all prices were freed up, and all purchasers had to pay the market price. Vietnam, however, had a major inflation problem that predated the liberalization of prices. Inflation in 1986– 1988 and before was running at over 400 percent per year (roughly 14 percent per month). With price reform and the big increase of goods on the market in 1989– 1991, the rate of inflation had come down but was still running at 60 percent a year on average. 38 Rates of this magnitude were not consistent with a program designed to increase the rate of growth of GDP and exports. By 1992, however, the inflation rate of consumer retail prices had fallen to 17.5 percent, and it fell further to 5.2 percent in 1993. It stayed down for the rest of the 1990s and well into the following decade. The causes of inflation in Vietnam were similar in important respects to the causes in China, only more so. Poorly performing state enterprises— most of the Vietnamese state enterprises in these early reform years— lost their captive markets at home and abroad and borrowed heavily from the state banking system to cover their losses. The central bank, as in China, accommodated them by allowing the money supply to rise rapidly. Solving the inflation problem, therefore, involved sharp cutbacks in the subsidies, the closing of the worst performing firms, and cutting back on the excess employment in the firms remaining. Visiting factories at the time, one often saw many of the workers no longer on the production line and instead in classrooms learning new skills. There was no talk of privatizing enterprises in the early 1990s, however, or much later as well. Vietnam, like China, was still ruled by a Communist Party that saw state ownership as essential in key areas of the economy. In some respects the Vietnamese reforms of 1989 and the years immediately thereafter fit the “big bang” model for reforming a socialist system minus privatization. Prices, including the exchange rate, were freed up quickly, inflation was brought under control by sharp cutbacks in subsidies within less than four years, and the Soviet Comecon system of planned foreign trade was abolished and Vietnam’s foreign trade system integrated with the international system, at least that part of the international system that was not enforcing an embargo on Vietnamese trade. Working with the Vietnamese government on reform issues at the time, I thought their willingness to rein in the state enterprise expenditures as vigorously as they did indicated a willingness to move rapidly and firmly on state enterprise reform more generally. That did not turn out to be the case. Once inflation was under control, the state enterprises once again were given a central role in the government’s development efforts, a role that they still had as of 2012. 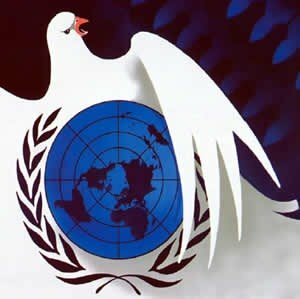 It is also possible that the rise of foreign aid after diplomatic normalization with the United States in 1994 actually slowed down the reform process by making substantial amounts of foreign exchange available without taking further steps to reform the state enterprises. Vietnam also moved dramatically to end collectivization of agriculture in the north and to end efforts to implement it in the south. The 1988 land law effectively returned ownership of arable land to the household, although there were debates at the time as to just who would get the land— specifically whether there would be some further redistribution to reward those who had fought for the revolution. In addition, the farmers got only land use rights, not outright ownership, and these rights were to expire after 20 years. Rice land, in most cases, continued to have an obligation to grow rice. The return to family-owned farms led to an immediate jump in rice output that restored Vietnam’s role as a rice exporter after years of importing rice. Agricultural reform combined with price reform led to a boom in higher valued agricultural crops such as coffee, fruits, rubber, and farmed fish, all of which, together with rice exports, made major contributions to solving the country’s balance-of-payments problems as well as raising the incomes of farmers. Even before inflation was under full control, the performance of the Vietnamese economy and the development model it pursued looked more and more like the Chinese model. The GDP growth rate in 1989 was only 4.7 percent, or 3 percent per capita, but the average per capita growth rate throughout the 1990s was 5.9 percent per year. Exports grew slowly in the early 1990s, but with the ending of the U.S. embargo in early 1994 (and many other countries ended it earlier), Vietnamese exports took off. From 1994 through the year 2000 exports grew at 25 percent per year, passing US $ 14 billion in 2000. The content of Vietnam’s exports was both similar and different from that of China’s during the first decade of reform. Consumer manufactures, notably shoes, accounted for one-third of Vietnam’s exports during the 1990s, but minerals, mostly petroleum, accounted for more than a quarter of the total, with agricultural and aquatic products (rice, coffee, shrimp. etc.) making up much of the rest— not the case in China. Manufactured exports in China, in contrast, accounted for two-thirds of exports in the latter half of the 1980s. Vietnam, partly because it was in the tropics and partly because its per capita income was lower than that of China, had larger surpluses of agricultural products that could be sold abroad. By the end of the first decade of the twenty-first century, Vietnam’s economic model looked much the same as it did in the late 1990s. From the end of the 1990s, GDP continued to grow through 2007 at an average rate of 7.6 percent a year, actually accelerating to over 8 percent a year in 2005– 2007. Exports in nominal terms also continued to grow rapidly at 19.7 percent a year from the beginning of 2000 through 2007, but the structure of exports did not change much from the 1990s. The dominant exports continued to be shoes, textiles, and garments, with some increase in the assembly of electronic products, all mostly produced by foreign direct investment firms, plus petroleum, coffee, rice, and other agricultural and fishery products. In China in the 1990s exports came increasingly from heavy industry products such as machinery and transport equipment, but in Vietnam heavy industries, other than petroleum, continued to produce at high cost behind high protective barriers, including favored access to land and credit and favored interpretations or noninterpretations of law. The major policy change in the first part of the post-2000 decade was the passage of laws (the Enterprise Laws of 2000 and 2005) that legitimized domestic private business, providing security for Vietnamese investors in that sector comparable to what foreign investors in Vietnam already received. Prior to these laws, private industry above household size was virtually nonexistent, although there were a few private industrial firms, disguised under other ownership categories. After the passage of the Enterprise Laws, the private sector boomed. Private industry in 2006– 2010 grew at an average annual rate of 21.6 percent per year, even faster than the 16.6 percent annual growth rate of foreign direct investment industry. Both sectors slowed down at the height of the global financial crisis in 2009 but then bounced back in 2010. State-owned industry did not fare anywhere near as well, growing at an average annual rate of 8.7 percent in 2006– 2010. A number of the major state industrial enterprises began to spread out into businesses unrelated to their main activity, notably into real estate speculation. Vinashin, the state shipbuilding company, was the most notorious, raising roughly US $ 1 billion from foreign sources in 2007 and then investing the money in speculative activities, most of which had little to do with building ships and which performed badly, effectively forcing the government to bail out the company. But Vinashin was not alone. As in China in the 1980s and 1990s, there was a close relationship between the large state enterprises, the state banks, and the leadership of the Communist Party. Many of these state enterprises borrowed heavily from the state banks and then used the money on real estate projects and other speculative activity unrelated to their core businesses. The large increases in the money supply that resulted from this profligate borrowing began to show up in consumer prices. Whereas the average rate of increase in the consumer price index starting in 2001 and carrying through 2007 was 5.6 percent per year, in 2008 the rate jumped to 23 percent, fell to 6.9 percent during the global financial crisis in 2009, and then rose to 9.2 percent in 2010 and 18.6 percent in 2011 and back to 9.2 percent in 2012. The nominal exchange rate rose much more slowly than inflation, resulting in an overvalued exchange rate and a sharp fall in Vietnam’s foreign exchange reserves in 2011. Vietnam in the latter half of the first 12 years of the twenty-first century had more in common with China in the early 1990s than with China in the latter half of that decade. As this chapter is being written, there is no evidence that anyone comparable to Zhu Rongji is going to take command in Vietnam, rein in bank lending, and force the state industrial enterprises to face international competition. Vietnam’s GDP growth rate has fallen from 8 percent per year in 2005– 2007 to 5.9 percent per year in 2008– 2012, a respectable rate by global developing country standards but far below China’s rate during the same years. The global financial crisis is partly to blame for this slowdown, but stalled economic reforms are clearly also part of the story. By 2010, both Vietnam and China’s economies had moved a long way from the prereform period, and in key structural ways their economies had much in common with those of South Korea and Taiwan in the 1970s and 1980s. But it would be a mistake to describe what happened in China or Vietnam as a decision by the Chinese and Vietnamese leadership to abandon the Soviet model of growth and switch to the model of South Korea or Japan. To begin with China: as Deng Xiaoping said, China’s reforms were like a person crossing a river feeling for the stones. China had no clear model that it followed from the outset. Instead it faced a series of problems and tried to solve them one by one. The first problem was the need to take full advantage of the superior technologies available abroad instead of trying to reinvent the wheel within in China. That step required foreign exchange, and after decades of neglecting foreign trade China didn’t have much foreign exchange— hence the decision to accelerate the growth of exports. Since China couldn’t afford to squeeze food consumption further and the country was not rich in natural resources (and offshore oil finds initially were disappointing), exporting manufactures was the only alternative. In these early years of reform, China also faced a severe poverty problem, mainly in the countryside, and the solution chosen to achieve a sharp reduction in poverty was to abandon the commune experiment and return to household farming. The immediate result was a large jump in farm output, but after 1984 China reverted to much slower agricultural growth and a rapidly declining share of agriculture in GDP. Better incentives could remove many of the inefficiencies of the commune system, but they could not overcome the fact that China had very little arable land per capita (0.6 hectares per rural family or 0.15 hectares per rural person), 39 and the yields on that land were often already comparable to the highest yields elsewhere in the world. The next problem was how to accelerate the growth of industry so that China did not continue to fall further behind its neighbors both in per capita income and in industrial technology terms. The initial focus was on trying to make the state-owned enterprises perform better, and a wide variety of measures were tried, none of which was particularly successful. But one of the measures tried, making industrial inputs available on the market at market prices, had a surprising side effect. The townships and villages outside the large cities experienced a boom, as local manufacturers and entrepreneurs could now get the inputs they needed, and township and village enterprises boomed and carried the entire economy with them. The tragedy of June 4, 1989, temporarily derailed this step-by-step movement across the river and threatened a return to a more state-directed economy, but Deng Xiaoping reversed that retreat with his southern tour in 1992. It is hard to imagine the success achieved by China’s reforms in the absence of Deng Xiaoping. Given the politics and ideologically driven programs of the prereform era, China could have gone down a very different path of state-controlled and state-directed slower growth possibly for decades before running into the massive inefficiencies of such an approach as the economy became more and more complex. But Deng Xiaoping was there and he did endorse continued reform, and so the step-by-step approach resumed. In the 1990s the drag of the weak performance of the state-owned enterprises was causing a variety of connected problems that threatened overall economic performance. The close relationship between the state industrial enterprises and the state banks was leading the banks down a path to insolvency as nonperforming loans piled up. The ease with which state enterprises could get state bank loans also led to accelerating inflation that was a threat to political stability. So China’s leaders took the dramatic but highly practical step of forcing the state enterprises to reform or go out of business. They did this by joining the WTO and making it difficult for the state to continue to give the kind of support to state enterprises that had been the norm in the past. In this respect, China was quite different from South Korea, Taiwan, and Japan. China has steadily moved toward a trading system that is open on both the import and the export side, with the notable exception in recent years of the undervalued exchange rate. And China has promoted foreign direct investment. Japan, South Korea prior to 1998, and Taiwan, in contrast, tightly restricted foreign direct investment and during the first decades of their high growth implemented high tariff and nontariff barriers to imports. Thus China ended up in a place similar, although far from identical, to that of its East Asian neighbors. China had no doubt learned from their experience but had got to where it was in 2000 by its own path and in its own way. This way has sometimes been described as a gradual approach to development in contrast to the “big bang” radical transformations instituted in eastern Europe and many of the states of the former Soviet Union. Some of China’s reforms were certainly gradual. It took two decades before China faced up to the need to do something dramatic and effective vis-à-vis the state-owned enterprises. On the other hand the rural reforms were carried out over a period of only a few years, and the opening of the economy to foreign trade occurred quickly as well. Where all that was involved was getting rid of an institution that did not work well (the rural communes for example) one could move quickly. Where new institutions and attitudes had to be created, moving quickly was never possible. Moving quickly was also not possible because China’s goal was a very general one, to become wealthy and powerful, but the country had been struggling with how to do that since the nineteenth century. Implementing such a general goal involved far more difficult choices than reform in Poland and elsewhere in eastern and central Europe in the early 1990s, where the goal of many of the countries was to join the European Union and become as much like the existing EU countries as fast as possible. When it came to the decision to open up the economy to trade with market economies, for example, Vietnam’s initial problem was that they had to deal with a loss of Soviet subsidies and Comecon markets together with high inflation, problems that China did not have in the late 1970s. The beginning of production of the Bach Ho (White Tiger) oil field solved part of the first problem, and the 1988 land law that involved the abandonment of collectivization of agriculture also helped solve the balance-of-payments deficit. Thus Vietnam was able to meet its foreign exchange needs initially with exports of petroleum and a restoration of its traditional rice-exporting status. China, in contrast, given the limited success of its oil exploration efforts, had little choice other than to promote the rapid expansion of labor-intensive manufactured exports where it already had experience. The partial shift in emphasis to manufactured exports came about later in Vietnam, in part because of the embargo that was still in place in the early 1990s and in part because by the mid-1990s Hong Kong, Korean, and Taiwanese manufacturers of shoes and textiles were looking for production platforms that would diversify their businesses so as to escape from overdependence on China. When it came to the speed of reform, both China and Vietnam moved quickly to abandon collectivization, although the approach of China was bottom up and took several years, while that of Vietnam was more top down and was completed more quickly, in part because collectivization had never taken hold in the Vietnamese south, whereas all of China had been collectivized for over two decades. Vietnam’s decision to deal decisively at the outset with closing inefficient state-owned enterprises was driven mainly by the need to rein in rapid inflation, and the effort slowed as soon as inflation was under control. The fact that state enterprises in Vietnam were a smaller share of the economy may have made it politically easier for the leadership to avoid halfway reform measures like China’s dual-price system in the latter half of the 1980s. China’s initial efforts to reform state owned enterprises were quite modest throughout the 1980s, and reform was further set back after June 4, 1989. What changed in 1992 was Deng Xiaoping’s personal decision to use his status and power to force the restoration of the reform effort, followed by Zhu Rongji’s determined leadership to force state enterprises to become internationally competitive in the late 1990s. There has been no comparable political effort in Vietnam vis-à-vis state-owned enterprises, and they continue to operate as import-substituting firms behind government protective barriers.The failure to further reform Vietnam’s state-owned enterprises is probably one of the reasons why China’s GDP growth rate has averaged over 9 percent per year while that of Vietnam has risen at 7 percent a year during the 23-year reform period and less than 6 percent per year during the most recent five years ending in 2012. The decisions made by China and Vietnam, therefore, reflected their specific contexts, but the many similarities in their reforms derived in part, though only in part, from the fact that both were moving away from similar failed Soviet-style command economies. The fact that China started a full decade ahead of Vietnam also meant that Vietnam had a model to learn from and follow where appropriate. In addition, these two economies both ended up with development strategies that in key respects looked much like those pursued by Japan, South Korea, and Taiwan. The decision to turn outward with respect to reliance on foreign trade and the export of manufactures was common to all of these economies. In all five economies the government played an active role in directing economic activity, especially during the first decades of reform and rapid growth. All of these economies had major government programs to promote heavy industries. Japan and to a large degree South Korea relied on private firms to carry out these plans whereas China, Vietnam, and Taiwan (in the early phase of the program) relied more on state-owned enterprises, but the direction came from government. Japan, South Korea, and Taiwan used higher tariffs, quantitative restrictions, and undervalued exchange rates to limit imports that would compete with domestic producers, whereas China mainly used an undervalued exchange rate; but that difference reflected the terms China had to accept to become a member of the WTO, whereas Japan and South Korea were already members and started their reforms in an era when the United States was much more tolerant of developing country trade restrictions. Vietnam has not deliberately tried to keep its exchange rate undervalued, and that may reflect in part its greater reliance on the export of natural resource commodities as opposed to manufactures. Overall, the fact that all of these economies relied on active government intervention to promote industrialization and economic growth probably reflects, in part, the fact that all had large, well-organized bureaucracies staffed with relatively well-educated personnel who had the capacity to make government intervention in the economy work with a reasonable level of efficiency. It is not entirely clear where this organizational capacity came from. In China it was probably a combination of centuries of experience with the bureaucratic rule of the Confucian governmental system, the Communist Party’s own experience over two decades of managing a complex war and revolution against both the Japanese and the Guomindang, and an increasingly well-educated population. In Vietnam, French colonial rule eliminated any substantial personal experience among the Vietnamese with managing a bureaucracy, but they had 30 years of successfully managing a revolutionary war involving the mobilization and supply of millions of troops, the constant need to repair infrastructure destroyed by bombing, and much else. And the fact that they managed this against the French, the Americans, and the South Vietnamese Government created considerable organizational capacity. No such government capacity existed in most of Southeast Asia outside Vietnam. The major differences between the development strategies of these economies, as contrasted to their similarities, include the fact that China and Vietnam welcomed large-scale foreign direct investment while Japan, South Korea, and Taiwan did not. All of these economies at the beginning of the second decade of the twenty-first century, however, are part of the complex multicountry supply chains that characterize most manufacturing in the region today. One suspects that the hostility to foreign direct investment in the three earlier developers was more a product of politics and culture than anything else. Japanese business practices and business-government relations have never been accommodating to the inclusion of outsiders. In South Korea, in addition to strong nationalist feelings, there was the fear that opening up to foreign direct investment would lead to renewed Japanese control of Korean businesses. China’s leaders, in contrast, seemed to worry little about their ability to control the activities of foreign investors. Somewhat like Koreans, many Vietnamese worry about the ability to control Chinese foreign direct investment in their country but not investment from elsewhere. In fact, involving foreign investment in offshore oil exploration is seen by the Vietnamese as a way to protect themselves against what they perceive as Chinese encroachment. In broad terms, the factor endowment of these five economies is similar, so it is not surprising that their development strategies have been similar. All had limited endowments of arable land relative to the size of their population, and all, except Vietnam, were in the temperate zone. None had plentiful nonagricultural natural resources relative to the size of its population. All had a Confucian heritage that generated a strong desire for education, backed up by a premodern base of education that was readily expanded into a modern mass education program, resulting in increasingly well-educated labor forces. All five started with governments led by individuals mostly talented at making war and revolution but then made the transition to leaders devoted to modernizing their economies. The main difference in the timing of the rapid growth period of each country had to do with when the emphasis on war and revolution gave way to the emphasis on development. It happened first in Japan with defeat in World War II, moved on to Taiwan and South Korea in the early 1960s, where survival depended on successful economic development, and then to China in the late 1970s and Vietnam in the late 1980s, when revolutionary leaders gave way to leaders who wanted to make their countries wealthy and powerful. These leaders not only wanted to implement development programs that would achieve these goals but also led governments that had the capacity to carry out interventionist policies without excessive political and rent-seeking distortions. Finally there is the question of whether or how the nature of the political systems in Northeast and Southeast Asia shaped the development strategies pursued, and what the experience of those East Asian economies that have achieved high-income status implies for China and Vietnam. Full treatment of this subject would require a separate book, but a few generalizations are possible from the analysis in this and previous chapters. All of the rapidly growing economies of Northeast and Southeast Asia began with authoritarian political systems, with the possible exceptions of Singapore and Malaysia, where votes were honestly counted in elections and there were opposition candidates, although the playing field was not an even one. Some of these authoritarian governments managed highly effective development policies while others oversaw economic disasters. In the case of South Korea and Taiwan, external threats to the very existence of their economic and political systems kept governments focused on following economic policies that worked and dropping those that did not. Potential external threats of a somewhat different kind also played a role in Singapore. External threats, however, had little to do with why the governments of China and Vietnam were able to stay focused on effective development policies. The key change in both China and Vietnam was the transition from a generation of leaders mostly skilled at making revolution and fighting wars to leaders who were mainly concerned with making their countries wealthy and powerful. In Vietnam’s case, the end of subsidies from its powerful ally the Soviet Union was a further impetus. The changeover from a revolutionary leader to the next generation is also part of the explanation for Indonesia’s relative success, but authoritarian rule under President Suharto had a mixed development record. It was effective during periods such as the late 1960s and the 1980s when major economic crises in the immediate past kept the ablest technocrats in control, but poor policies led to crises in the mid-1970s and the 1990s, when prior success bred hubris on the part of senior politicians. In the Philippines, authoritarian rule by President Marcos was an unmitigated disaster. Did the transition to democracy in several of these countries change policies, were the changes positive or negative for economic growth, and are there any implications for China and Vietnam in the experience of the countries that made this transition? In South Korea and Taiwan, democracy coincided with a shift away from a high level of government intervention in the economy to greater reliance on market forces, but that transition began before the change in the political systems and reflected more the requirements of increasingly sophisticated and open economies. The slowdown in growth in South Korea and Taiwan, as will be seen in Chapter 6, had nothing to do with the transition to democracy. The transition to democracy in Indonesia has been accompanied by fairly high GDP growth, but that is mostly due to high international prices for natural resource exports, not a coherent and effective government development strategy. The transition back to democracy in the Philippines has led to improvements over the Marcos years, but not dramatic improvements. In Malaysia, democracy— arguably in place since independence— has brought political stability to the country that has helped growth, but stability was bought in part with policies strongly favoring one ethnic group that have inhibited economic growth. If there are any lessons for China and Vietnam’s approach to development in this recent political history, it is not clear what they are. The one certainty is that China and Vietnam will have to find more and more ways to accommodate the demands of an increasingly prosperous and well-educated population, but how this will impact their development strategies remains to be seen. Next I shall explore whether the similarities in economic structure and reform strategies continued in East Asia as the high-growth spurt in some of the economies reached its end. For the countries of Southeast Asia, including Vietnam but excluding Singapore, this end-of-high-growth story is some way off, but in Northeast Asia it has already arrived. In China, however, high growth has been sustained in an economy with an increasingly unusual economic structure. Perkins, Dwight H. (2013-10-21). East Asian Development (The Edwin O. Reischauer lectures) (Kindle Locations 2516-2779). Harvard University Press. Kindle Edition. --Việt - Trung: Điều gì làm nên sự khác biệt? (TVN) -Sự chênh lệch về cam kết cải cách của giới lãnh đạo được tính dựa trên hai bằng chứng: sự kiên quyết trong việc đưa ra các quyết định chiến lược trong các bối cảnh then chốt của cuộc cải cách kinh tế và các nỗ lực tổ chức tốt công việc hành chính. Có hai thời điểm đánh dấu sự khác biệt đáng kể về tăng trưởng giữa Trung Quốc và Việt Nam, đặc biệt trong lĩnh vực công nghiệp và dịch vụ. Đó là cú bật ở Trung Quốc năm 1991 và sự sụt giảm tăng trưởng ở Việt Nam năm 1999. Sau 10 năm đầu cải cách, cả Trung Quốc và Việt Nam đều có thể thoát khỏi những khó khăn kinh tế và bước vào một giai đoạn phát triển mạnh hơn, nhưng lại là giai đoạn khó khăn hơn để đưa ra những quyết sách mang tính quyết định. Thực vậy, các cuộc cải cách kinh tế ở hai nước này đã chuyển hướng xa hơn khỏi tư tưởng xã hội chủ nghĩa của cả hai. Điều này đã làm bối rối một số thành viên có ảnh hưởng trong giới lãnh đạo và đặt hai nước (Trung Quốc đầu những năm 1990 và Việt Nam cuối những năm 1990) trước nguy cơ bị rơi vào trì trệ kinh tế và thiếu quả quyết trong việc đưa ra các quyết định chiến lược. Tại Trung Quốc năm 1991, có nhiều ý kiến chống cải cách, trong đó có lời kêu gọi hủy bỏ các đặc khu kinh tế. Nhưng Đặng Tiểu Bình đã không thỏa hiệp và thay vào đó, ông quyết định tiến hành một bước đón đầu bằng việc công du miền Nam nước này hồi tháng 1/1992 để kêu gọi sự ủng hộ nhằm thúc đẩy cải cách. Chuyến đi của ông Đặng cho là đã có tác động cả trong ngắn hạn và dài hạn đối với sự phát triển kinh tế và chính trị của Trung Quốc. Tăng trưởng kinh tế tăng từ 9% năm 1978-1991 lên 12% năm 1991-1996, trong khi tổng vốn FDI đạt 156 tỷ USD trong những năm 1991-1996 từ mức 23,3 tỷ USD những năm 1978-1991. Ở Việt Nam, một sự sụt giảm trong các nỗ lực cải cách đã được quan sát thấy sau năm 1995, dẫn tới việc Việt Nam chậm trễ ký thỏa thuận thương mại với Mỹ năm 1999. Một quan chức thương mại Mỹ nhận định, so với Trung Quốc, Việt Nam không dám chắc về việc mở cửa, các lãnh đạo Việt Nam còn do dự trong việc chọn chính sách công nghiệp phù hợp nhất với đất nước. Tuy nhiên, cần phải ghi nhận rằng Việt Nam đã ký thỏa thuận thương mại tháng 6/2000, chưa đầy một năm sau đó. Cũng trong năm 1999, Việt Nam đã thông qua Luật Doanh nghiệp, tức là 5 năm sau khi Trung Quốc làm việc này, văn bản đã tạo ra một sự thay đổi đáng kể trong việc tạo ra sân chơi cho lĩnh vực tư nhân ở Việt Nam. Các ví dụ trên cho thấy giới lãnh đạo Việt Nam dù thiếu kiên quyết trong hoạch định chính sách nhưng muốn và có thể tạo ra được những thay đổi đáng kể ngay khi điều đó trở thành tất yếu. Trung Quốc và Việt Nam đều có gánh nặng là một lượng nhân viên quá đông trong lĩnh vực hành chính công, lý do chính dẫn tới quan liêu, tham nhũng, trình độ kém và làm việc không hiệu quả. Bên cạnh cam kết cải cách của giới lãnh đạo, tính hiệu quả của chính phủ cũng đặc biệt quan trọng, quyết định thành quả của một đất nước. Theo đánh giá của Ngân hàng Thế giới (WB), Việt Nam thấp hơn Trung Quốc về tính hiệu quả của chính phủ trong giai đoạn 1996-2007. Đáng báo động hơn, sự chênh lệch này càng ngày lớn hơn kể từ năm 2005. Chênh lệch trong hiệu quả hoạt động của chính phủ hai nước cũng có thể được nhìn thấy trong các cuộc cải cách doanh nghiệp nhà nước SOE, kiểm soát tham nhũng, mô hình tiêu thụ năng lượng và hiệu quả của mở cửa. Khu vực doanh nghiệp nhà nước đều có vấn đề ở cả Việt Nam và Trung Quốc, nhưng Việt Nam thua Trung Quốc trong việc cải cách loại doanh nghiệp này. Nhìn vào quá trình tư nhân hóa, Trung Quốc cũng đã hiệu quả hơn Việt Nam. Tính theo tỷ lệ % GDP năm 2000, tổng doanh thu từ tư nhân hóa trong giai đoạn 1990-2005 là 4,8% trong khi ở Việt Nam chỉ là 1%. Tham nhũng cũng là một vấn đề nghiêm trọng ở hai nước. Tuy nhiên, Trung Quốc đã kiểm soát tham nhũng tốt hơn Việt Nam, theo đánh giá của Tổ chức Minh bạch quốc tế (TI). Thực tế là cả Trung Quốc và Việt Nam đã giải quyết các vụ bê bối liên quan đến một số quan chức cấp cao một cách rất khác nhau. Để xử lý những trường hợp này, giới lãnh đạo Trung Quốc đã cho thấy sự bền bỉ và quyết tâm, trong khi ở Việt Nam phần nào còn do dự trong các nỗ lực bài trừ tham nhũng. Năng lượng ngày càng trở thành một nguồn chiến lược và khan hiếm. Vì vậy giảm tiêu thụ năng lượng trong quá trình phát triển kinh tế đất nước đòi hỏi những bộ óc chiến lược và am tường. Mô hình tiêu thụ năng lượng của hai nước cho thấy Trung Quốc áp dụng hiệu quả hơn Việt Nam về mặt này. Tỷ lệ tiêu thụ năng lượng trong nền kinh tế Trung Quốc, tính bằng kg dầu tương đương với 1.000 USD GDP, là 1,95 trong năm 1990, cao hơn ở Việt Nam (1,62). Tuy nhiên, Trung Quốc đã giảm mạnh tỷ lệ này từ mức 0,94 năm 2000 xuống còn 0,91 năm 2005, còn Việt Nam chỉ giảm từ 1,2 năm 2000 xuống 1,15 năm 2005. Hơn nữa, trong thời gian 1990-2005, mức tiêu thụ điện của Trung Quốc cũng giảm trong khi của Việt Nam lại tăng. Mở cửa nền kinh tế cũng có một tác động tích cực đáng kể đối với tăng trưởng. Việt Nam mở rộng cửa hơn Trung Quốc. Từ khi phát động cải cách năm 1986, Việt Nam đã nhanh chóng tăng cường mở cửa với thế giới. Tuy nhiên, việc mở cửa nền kinh tế không giải thích tại sao thành quả tăng trưởng của Việt Nam thấp hơn Trung Quốc. Cần phải nghiên cứu sâu hơn về tính hiệu quả của việc mở cửa ở hai nước. Cụ thể, xuất khẩu của Trung Quốc tăng nhanh hơn nhập khẩu trong khi điều ngược lại diễn ra ở Việt Nam. Hơn nữa, Việt Nam kém Trung Quốc trong việc thúc đẩy trao đổi công nghệ. Ở Việt Nam, tỷ lệ các sản phẩm nông nghiệp và công nghệ thấp ở mức 57-58% trong những năm 2000-2005 và giảm nhẹ (0,6%) từ 58,1 năm 2000 xuống 57,5% năm 2005. Cùng thời gian này, con số của Trung Quốc là 12,9%, giảm từ 44,9% năm 2000 xuống còn 32% năm 2005. Mặt khác, tỷ lệ hàng công nghiệp công nghệ cao xuất khẩu của Việt Nam rất nhỏ và tăng nhẹ từ 5,8% năm 2000 lên 7,8% năm 2005, trong khi ở Trung Quốc cao hơn nhiều, đạt 41,3% vào năm 2005 từ mức 28,9% năm 2000. Đặc biệt, Trung Quốc đã nắm tốt thời cơ bùng nổ trên thị trường công nghệ thông tin và viễn thông (ICT) để mở rộng xuất khẩu (tỷ lệ hàng công nghiệp ICT xuất khẩu của Trung Quốc tăng 9%, từ mức 15,3% năm 2000 lên 24,2% năm 2005. Trong khi đó, mức tăng tương ứng của Việt Nam chỉ là 2,8% lên 3,9%. Cũng cần nhấn mạnh rằng tăng trưởng nhập khẩu ở Trung Quốc trong giai đoạn 2000-2005 chủ yếu là công nghệ cao, trong khi các sản phẩm công nghệ trung bình và khai mỏ tạo ra tăng trưởng trong nhập khẩu của Việt Nam. Điều này chứng tỏ Trung Quốc có tầm nhìn chiến lược hơn Việt Nam về cả xuất khẩu và nhập khẩu với một cú hích mạnh nhằm thúc đẩy chuyển giao công nghệ. Việt Nam cũng thua nhiều nền kinh tế châu Á khác về tận dụng mức tăng trưởng nhanh chóng của thị trường châu Á. Trong giai đoạn 1990-2006, tỷ lệ hàng xuất khẩu sang châu Á của Việt Nam giảm từ 39,2% xuống còn 36,5%, trong khi con số này của Hàn Quốc tăng mạnh (34% lên 51%), cũng như Hồng Kông (42,3% lên 61,9%), Đài Loan (38,2% lên 64%), Singapore (47,1% lên 63,4%), Thái Lan (37,8% lên 53,3%) và Philippines (34,8% lên 64,9%). Các phân tích trên cho thấy một khoảng cách lớn về tính hiệu quả của mở cửa thị trường giữa hai nước, điều có liên quan đến tính hiệu quả của chính phủ mỗi nước trong việc đưa ra các chính sách công nghiệp. Các phân tích này cũng cho thấy tại sau các biện pháp mở cửa thị trường đơn giản không giúp thúc đẩy mạnh tăng trưởng. Có thể kết luận rằng sự khác biệt trong thành quả tăng trưởng giữa Trung Quốc và Việt Nam không chỉ về số lượng mà còn về chất lượng. Nguyên nhân chủ yếu là độ chênh lệch về tính hiệu quả trong hoạt động của chính phủ. Chính vì vậy, cải thiện điều này là bước tối quan trọng nhằm thúc đẩy thành quả kinh tế, từ đó tạo ra các điều kiện cần thiết để nâng cấp các thể chế./. - Việt Nam - Trung Quốc: Những chênh lệch về thành quả (TVN) -Những khác biệt về chất lượng quản lý, và nhỏ hơn là về các quy định luật pháp, là hai nhân tố thể chế mà Trung Quốc có ưu thế hơn Việt Nam. Tuy nhiên, Việt Nam có một lợi thế so với Trung Quốc về ổn định chính trị. Như vậy, các thể chế dường như vẫn không phải là nhân tố quyết định sự chênh lệch về tăng trưởng giữa hai nước. Việt Nam đã đi qua 20 năm cải cách và Trung Quốc 30 năm, các phân tích so sánh về tăng trưởng của hai nước này cho thấy những khác biệt. Tăng trưởng của Trung Quốc trong 20 năm đầu cải cách đã vượt xa của Việt Nam. GDP trên đầu người của Trung Quốc đạt 9,8%, trong khi của Việt Nam là 7,1%. Ngoài ra, cũng tồn tại một khoảng cách lớn giữa hai nước trong mỗi giai đoạn kế hoạch 5 năm. Trong 20 năm, GDP của Trung Quốc tăng 6,5 lần trong khi của Việt Nam chỉ tăng 4 lần. Việt Nam bị bỏ xa đằng sau Trung Quốc không chỉ về số lượng mà còn về chất lượng tăng trưởng. Điều này thể hiện trong khoảng cách tăng trưởng tổng sản lượng (TFP), tăng trưởng về sản lượng trong lĩnh vực nông nghiệp và một số chỉ số phát triển chọn lọc. Trong thời gian từ 1986-2006 tăng trưởng TFP của Trung Quốc cao hơn nhiều của Việt Nam. Cần phải nhấn mạnh rằng tăng trưởng TFP của Việt Nam trong giai đoạn đầu cải cách 1986-1996 ở mức khá cao (4,4%), gần với của Trung Quốc (5,6%). Tuy nhiên, con số này của Việt Nam từ 1996-2006 giảm còn 1,8% trong khi Trung Quốc duy trì ở mức cao 4,5%. Sự sụt giảm tăng trưởng TFP và khoảng cách lớn giữa Việt Nam và Trung Quốc cho thấy tính hiệu quả của tăng trưởng kinh tế của Việt Nam đang xuống cấp. So sánh các chỉ số phát triển xã hội của Trung Quốc và Việt Nam cho thấy nhiều khác biệt. Việt Nam có sức cạnh tranh cao với Trung Quốc về mặt các biện pháp cơ bản nhằm phát triển nhân lực. Tuy nhiên, Việt Nam lại gần bằng Trung Quốc trong các chỉ số khác như khả năng nghiên cứu, sự lan tràn bệnh AIDS và tai nạn giao thông. Tỷ lệ người chết vì AIDS tăng từ 10,9 (tính trên 100.000 người) vào năm 2003 lên 15,7 năm 2005 (tăng 44%) ở Việt Nam, trong khi các con số của Trung Quốc lần lượt là 2,0 và 2,4. Tỷ lệ chết vì AIDS của Việt Nam cao hơn Trung Quốc 5,5 lần vào năm 2003 và 6,5 lần vào năm 2005. Tỷ lệ chết vì tai nạn giao thông ở Việt Nam tăng 176%, từ mức 7,9 vào năm 1998 lên 13,9 năm 2003, tức là cao hơn ở Trung Quốc 1,3 lần vào năm 1998 và 1,7 lần vào năm 2003. Việt Nam đã đuổi kịp Trung Quốc về tuổi thọ và số người biết chữ trong khi vượt xa Trung Quốc về tỷ lệ chết ở trẻ em (từ năm 2000), tỷ lệ sử dụng internet (từ năm 2004) và tỷ lệ sinh viên học tập tại Mỹ (từ năm 2006). Thu nhập bình quân đầu người ở Việt Nam năm 1986 thấp hơn ở Trung Quốc từ 20-30% (Việt Nam: 203 USD/người, trung bình sức mua 1,031 USD; Trung Quốc: 311 USD/người, trung bình sức mua là 1,289 USD). Điều này có nghĩa là mức thu nhập ban đầu có lợi cho Việt Nam và đó hoàn toàn không phải là một nhân tố thúc đẩy thành quả tăng trưởng nhanh hơn. Trong khi nguồn nhân lực cơ bản bị ảnh hưởng bởi chính sách, nó lại được định hình cơ bản bởi di sản xã hội. Việt Nam và Trung Quốc có những tương đồng khá lớn về nguồn nhân lực vì sự giống nhau về địa lý, văn hóa và lịch sử. Thực vậy, như đã nói ở trên, Việt Nam có sức cạnh tranh cao với Trung Quốc về các phép đo cơ bản nguồn nhân lực, như kiến thức giáo dục, chăm sóc y tế và áp dụng công nghệ thông tin. Điều đó có nghĩa là nguồn nhân lực cơ bản cũng không phải là nhân tố tạo ra sự khác biệt về tăng trưởng giữa Trung Quốc và Việt Nam. Sự khác biệt về thể chế được so sánh thông qua các yếu tố như sự ổn định chính trị, pháp luật và chất lượng điều tiết của nhà nước. Sự ổn định chính trị gồm khả năng chính phủ không bị bất ổn bởi các nhân tố vi hiến và bạo lực, bao gồm cả chủ nghĩa khủng bố. Về điểm này, Việt Nam rõ ràng ở mức độ tốt hơn Trung Quốc. Vì sự ổn định chính trị có một tác động vững chắc đến đầu tư và tăng trưởng, nên nhân tố này được coi là một điểm hơn của Việt Nam so với Trung Quốc. Luật pháp được xác định là mức độ mà người dân tin và tuân thủ các quy định xã hội, trong đó có chất lượng tuân thủ hợp đồng, chất lượng của tòa án và cảnh sát, cũng như khả năng phạm tội và bạo lực. Về điểm này, Việt Nam kém Trung Quốc. Luật pháp có một tác động lớn tới tăng trưởng, vì vậy nhân tố này cũng có ảnh hưởng nào đó tới khoảng cách về tăng trưởng giữa hai nước. Chất lượng quản lý là khả năng chính phủ đưa ra các chính sách và quy định giúp thúc đẩy sự phát triển của lĩnh vực tư nhân. Về điểm này, cả hai nước còn yếu. Tuy nhiên, Trung Quốc mạnh hơn Việt Nam. Vì vậy nhân tố này cũng góp phần tạo ra sự cách biệt về thành quả tăng trưởng giữa hai nước. Tóm lại, những khác biệt về chất lượng quản lý, và nhỏ hơn là về các quy định luật pháp, là hai nhân tố thể chế mà Trung Quốc có ưu thế hơn Việt Nam. Tuy nhiên, Việt Nam có một lợi thế so với Trung Quốc về ổn định chính trị. Như vậy, các thể chế dường như vẫn không phải là nhân tố quyết định sự chênh lệch về tăng trưởng giữa hai nước. - Thành quả cải cách: So sánh Trung Quốc và Việt Nam (TVN) Tác giả: Vũ Minh Khương…Kể từ khi phát động các cuộc cải cách kinh tế ở Trung Quốc năm 1978 và ở Việt Nam năm 1986, hai quốc gia này đã đạt được những thành tựu ấn tượng. Tuy nhiên, hai nước đã chứng kiến sự khác biệt lớn về tăng trưởng dù bối cảnh xuất phát và đặc điểm của hai cuộc cải cách gần như tương đồng. Tuần Việt Nam xin giới thiệu lại bài phân tích cách đây 3 năm của tiến sĩ Vũ Minh Khương về nguyên nhân dẫn tới sự khác biệt này. Trong năm thập kỷ vừa qua, Đông Á đã nổi lên là một khu vực với những câu chuyện ngoạn mục về sự phát triển kinh tế. Ngân hàng Thế giới (WB) đã xác định 8 nền kinh tế châu Á đạt thành quả cao nhất (HPAEs) là Nhật Bản, "Bốn Con rồng châu Á" gồm Hồng Kông, Singapore, Hàn Quốc và Đài Loan, và ba nền kinh tế mới được công nghiệp hóa (NIEs) gồm Indonesia, Malaysia và Thái Lan. Trong khi bốn Con rồng châu Á và NIEs đều đạt được các thành quả ấn tượng về tăng trưởng kinh tế và phát triển, giữa các nền kinh tế này vẫn có sự khác biệt về nhịp độ và hiệu quả của tăng trưởng. Hơn nữa, sự phục hồi chậm chạp sau cuộc khủng hoảng tài chính châu Á năm 1997 của các nền kinh tế NIEs cũng như của bốn Con rồng châu Á khiến ta nghĩ rằng hai nhóm này có những khác biệt đáng kể về các nhân tố cơ bản tạo ra thành quả kinh tế của họ. Trung Quốc và Việt Nam đã đạt được mức tăng trưởng kinh tế đáng chú ý kể từ khi phát động cuộc cải cách kinh tế trong nước (Trung Quốc vào năm 1978 và Việt Nam năm 1986). Tuy nhiên, giống như giữa bốn Con rồng châu Á với NIEs, hai nước này cũng chứng kiến những khác biệt lớn về thành quả tăng trưởng kinh tế. Trung Quốc và Việt Nam đi theo những mô hình tăng trưởng tương tự nhau, nhưng tăng trưởng của Việt Nam hiện thấp hơn của Trung Quốc rất nhiều. Bên cạnh Trung Quốc, cần phải nhấn mạnh rằng Ấn Độ, nước đã thúc đẩy tăng trưởng mạnh kể từ khi tiến hành cải cách năm 1991, cũng đã làm tốt hơn Việt Nam từ năm 2004, và cả Trung Quốc và Ấn Độ dự kiến sẽ phục hồi nhanh hơn Viêt Nam sau cuộc khủng hoảng kinh tế hiện nay. Các quan sát trên cho thấy sự khác biệt về thành quả kinh tế giữa Việt Nam và Trung Quốc sẽ lớn hơn nữa, chứ không đơn giản là sự chênh lệch về số lượng trong tăng trưởng kinh tế vào một thời gian nào đó. Trung Quốc đã bắt đầu xây dựng nền kinh tế xã hội chủ nghĩa vào năm 1949, trong khi quá trình này ở Việt Nam bắt đầu năm 1954 ở miền Bắc và năm 1975 trên cả nước thống nhất. Cả Trung Quốc và Việt Nam đã bắt đầu phát triển kinh tế từ những nền kinh tế chủ yếu dựa vào nông nghiệp. Tháng 12/1978, phiên họp toàn thể lần thứ ba của Ủy ban trung ương đảng lần thứ 11 ở Trung Quốc đã đưa ra sáng kiến về cuộc cải cách kinh kế. Tám năm sau, vào tháng 12/1986, Đại hội lần thứ VI của đảng Cộng sản Việt Nam cũng phát động cải cách kinh tế, được biết đến với cái tên "Đổi Mới". Dù các cuộc cải cách kinh tế ở hai nước được khởi động cách nhau gần một thập kỷ, nhưng hai cuộc cải cách này có những đặc điểm tương đồng, về bối cảnh dẫn tới cải cách, các điều kiện phát triển kinh tế - xã hội ban đầu, cũng như các phương pháp tiến hành cải cách và quản lý kinh tế. Thực vậy, cuộc cải cách kinh tế ở cả hai nước đề xuất phát từ bối cảnh gồm ba nhân tố quan trọng cần cho sự thay đổi: khả năng lĩnh hội cái mới, khủng hoảng và cơ hội. Trong thời kỳ tiền cải cách (ở Trung Quốc từ năm 1949-1978, ở Việt Nam từ năm 1954-1986), hai nước đã có những nỗ lực vượt bậc nhằm xây dựng nền kinh tế xã hội chủ nghĩa, song chưa thành công. Trung Quốc bị bần cùng hóa bởi thảm họa Đại Nhảy vọt và Cách mạng văn hóa, trong khi nền kinh tế Việt Nam kiệt quệ vì chính sách tập thể hóa đất đai, quốc hữu hóa công nghiệp tư nhân và các thể chế thương mại. Sau gần 30 năm phát triển kinh tế với mức tăng trưởng hàng năm đạt 2,7%, GDP trên đầu người của Trung Quốc năm 1978 chỉ đạt 164 USD. Năm 1986, Việt Nam bị liệt vào danh sách các nước nghèo nhất thế giới, với GDP trên đầu người chỉ là 203 USD. Tăng trưởng chỉ đạt 1,4% trong 10 năm sau khi đất nước thống nhất năm 1976 và Việt Nam chủ yếu phụ thuộc vào viện trợ kinh tế của Liên Xô. Các mô hình phát triển kinh tế làm ai cũng thấy nản này đã khiến Trung Quốc và Việt Nam quyết định thay đổi cách quản lý kinh tế. Đối với Việt Nam vào năm 1986, thái độ sẵn sàng thay đổi càng lớn hơn khi cải cách kinh tế ở Trung Quốc đã bước đầu thành công. Ngoài ra, hai nước đều phải đối mặt với những khó khăn lớn khiến các cuộc cải cách của họ trở nên cấp thiết hơn. Lĩnh vực nông nghiệp của Trung Quốc suy giảm 1,8% trong năm 1976 và 2,2% năm 1977. Trong khi đó, Việt Nam chứng kiến cảnh thiếu lương thực trầm trọng, siêu lạm phát và trợ cấp giảm. Sản lượng lương thực trên đầu người hàng năm giảm từ 304kg (quy ra thóc) năm 1985 xuống còn 301kg năm 1986 và 281kg năm 1987. Tỷ lệ lạm phát cao phi mã: 90% năm 1985, 455% năm 1986, 361% năm 1987 và 374% năm 1988. Trợ giúp hàng năm tính theo đầu người mà Việt Nam nhận được giảm hơn 50%, từ 6 USD/người trong những năm 1978-1982 xuống còn 2,6 USD những năm 1983-1987. Các cuộc cải cách ở hai nước trở nên khả thi nhờ một số nhân tố bên ngoài và bên trong. Đối với Trung Quốc, Chủ tịch Mao Trạch Đông qua đời năm 1976 đã mở đường cho Đặng Tiểu Bình trở thành hạt nhân của ban lãnh đạo đảng. Đối với Việt Nam, các chương trình cải cách cơ bản, được Mikhail Gorbachev phát động từ năm 1985 ở Liên Xô - sau này là mô hình phát triển kinh tế cho Việt Nam cũng như việc cung cấp các hỗ trợ chính cho người dân - nói trong chừng mực nào đó, đã gợi cảm hứng cho giới lãnh đạo Việt Nam. Hơn nữa, khi Tổng Bí thư Lê Duẩn qua đời năm 1986, Việt Nam chuyển sang giai đoạn cải cách mà Đại hội đảng VI hồi tháng 12/1986 đã đề ra. Các bối cảnh tương tự nhau đã dẫn tới các cuộc cải cách ở Trung Quốc và Việt Nam như đã nói ở trên là nền tảng cho thực tế là các cuộc cải cách ở cả hai nước mang tính kinh tế hơn là chính trị. Về các điều kiện phát triển kinh tế - xã hội ban đầu, Trung Quốc và Việt Nam ở mức độ phát triển tương đương nhau trong nhiều lĩnh vực, trong đó có nguồn nhân lực cơ bản, kinh tế và cơ sở hạ tầng. Hai nước có tỷ lệ người biết đọc biết viết và có chế độ dinh dưỡng như nhau. Nếu tuổi thọ ở Trung Quốc cao hơn thì Việt Nam lại vượt về tỷ lệ người trưởng thành biết chữ và tỷ lệ người ở tuổi trung niên. Nền kinh tế Trung Quốc và Việt Nam khi khởi động cải cách đều ở mức chưa phát triển, với GDP đầu người đạt 165 USD ở Trung Quốc và 203 USD ở Việt Nam. Bên cạnh cấu trúc GDP, lĩnh vực công nghiệp là chủ đạo ở Trung Quốc (48,2%), trong khi ở Việt Nam nông nghiệp là lĩnh vực chủ chốt (38,1%). Sự khác nhau này đặt ra cả ưu và nhược điểm cho cả hai nước trong giai đoạn đầu cải cách kinh tế. Đối với Trung Quốc, lĩnh vực công nghiệp rộng lớn, chủ yếu do nhà nước sở hữu, tạo ra nền tảng vững chắc hơn để công nghiệp hóa, song tính hiệu quả rất kém của nó - quá nhiều nhân công lại thiếu định hướng thị trường - đòi hỏi những nỗ lực lớn và thiện chí chính trị mạnh mẽ để cải cách. Đối với Việt Nam, lĩnh vực nông nghiệp nòng cốt có thể cho phép "nhảy cóc" với các dự án phát triển công nghiệp mới. Tuy nhiên, ngành công nghiệp nhỏ bé cũng đồng nghĩa với việc Việt Nam gặp khó khăn khi tìm kiếm các nhân công lành nghề và xây dựng một mạng lưới công nghiệp phụ trợ ngay từ đầu quá trình công nghiệp hóa. Về kinh tế nông thôn, 80% dân số của cả hai nước sống tại khu vực nông thôn, và hai nước đều có sản lượng ngũ cốc trên hecta tương đương nhau (2,802 kg đối với Trung Quốc và 2,715 kg đối với Việt Nam). Nền kinh tế cả hai nước đều mở cửa ở mức rất thấp và có cơ sở hạ tầng yếu kém khi bắt đầu tiến hành cải cách. Tỷ trọng xuất khẩu trong GDP đạt 6,6% ở cả hai nước. Tỷ lệ người sử dụng điện thoại (tính trên 1.000 dân) là 1,3 ở Việt Nam và 2,0 ở Trung Quốc. - Khởi động cải cách là quyết định bước ngoặt của đảng Cộng sản với một đội ngũ lãnh đạo mới. - Quản lý lĩnh vực nông nghiệp: hai nước đều đưa vào một "hệ thống trách nhiệm thỏa thuận với hộ gia đình". Bước này đã biến hộ ra đình thành một đơn vị sản xuất, khích lệ nông dân nỗ lực tối đa. Điều này chính thức diễn ra ở Trung Quốc năm 1980 và ở Việt Nam năm 1988, tức là khoảng hai năm sau khi phát động cải cách ở hai nước. - Hợp pháp hóa sự hình thành và phát triển của lĩnh vực tư nhân. Bước này được Trung Quốc thực hiện năm 1982 thông qua sửa đổi hiến pháp, đặt lĩnh vực tư nhân là "một thành phần bổ sung của nền kinh tế xã hội chủ nghĩa". Việt Nam cũng làm theo năm 1990 với việc ban hành Luật Công ty. - Các cuộc cải cách doanh nghiệp vừa và nhỏ (SOE) và "nâng cấp sân chơi" được tiến hành theo ba bước. Giai đoạn đầu (1979-1984 đối với Trung Quốc và 1987-1994 đối với Việt Nam) tập trung trao cho SOE quyền tự quyết nhiều hơn và làm cho các doanh nghiệp này hướng vào thương mại hơn trong khi xóa bỏ nền kinh tế chỉ huy. Bước hai (1985-1993 đối với Trung Quốc và 1994-1998 đối với Việt Nam) nhằm tái cấu trúc SOE trong khi thiết lập một khung pháp lý cho các doanh nghiệp này hoạt động trong một nền kinh tế thị trường. Giai đoạn ba (từ 1994 tại Trung Quốc và từ 1999 tại Việt Nam) nhằm nâng cấp sân chơi cho tất cả các tác nhân trong nền kinh tế và tăng tốc khối tư nhân. - Hai nước đã tích cực tận dụng toàn cầu hóa, nỗ lực thu hút đầu tư trực tiếp nước ngoài (FDI) và thúc đẩy xuất khẩu. Cả hai đều ban hành các đạo luật thu hút FDI ngay sau khi phát động cải cách (năm 1979 ở Trung Quốc và 1987 ở Việt Nam). - Các cuộc cải cách tài chính. Cả hai nước đã bắt đầu cải cách lĩnh vực ngân hàng, tách các ngân hàng thương mại lớn của nhà nước khỏi ngân hàng trung ương và đặt chúng vào một nền tảng thương mại nghiêm ngặt hơn với việc thành lập thị trường chứng khoán và các ngân hàng tư nhân. Phải mất hơn một thập kỷ kể từ khi bắt đầu cải cách, hai nước mới cho ra đời thị trường chứng khoán đầu tiên của mình (Trung Quốc năm 1990 và Việt Nam năm 2000). Hai nước có những khác biệt đáng kể, như quy mô dân số, các đặc điểm lịch sử và tính hiệu quả của đội ngũ lãnh đạo. Các yếu tố dân số và lịch sử tạo cho mỗi nước một số ưu điểm, được cho là có một tác động đáng kể tới thành quả kinh tế. Dân số đông khiến Trung Quốc có sức hút lớn về thị trường và nguồn lao động cả lành nghề và phổ thông. Thời kỳ phát triển hòa bình lâu dài của Trung Quốc cũng khiến hệ thống chính trị của họ ít phải quan tâm tới di sản chiến tranh và tập trung hơn vào phát triển đất nước. Phía bên kia, dân số ít hơn khiến Việt Nam nhanh nhẹn hơn. Bên cạnh đó, Việt Nam có một lợi thế là "người đến sau", cho phép họ nghiên cứu và học hỏi từ các kinh nghiệm cải cách của Trung Quốc mà không phải trả một giá nào. Sự nổi lên của Trung Quốc cũng biến Việt Nam thành một điểm đến thu hút FDI vì các nhà đầu tư nước ngoài luôn muốn đa dạng hóa đầu tư của mình với mô hình "Trung Quốc cộng một". Như vậy, mỗi nước đều có thể tận dụng một số lợi thế đáng kể từ các đặc điểm của mình để thúc đẩy các thành quả kinh tế. Hanoi traffic during daytime. 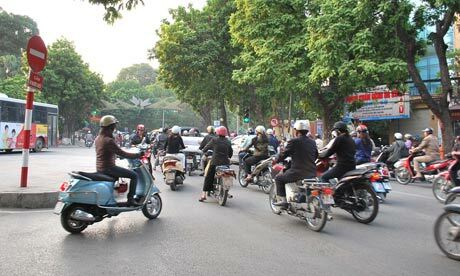 Photograph: Simon Roughneen It's 8am in Hanoi and already thousands of motorbikes, mopeds and scooters flow through the streets. Some sway with the weight of two or three passengers, boxes of merchandise, sacks of rice, or tied-down pieces of furniture that look heavier than vehicle and driver combined. For the first-time pedestrian, crossing the road is a daunting experience, but, amid all the apparent chaos, the "system" works. The trick is to just walk when you can, and let the torrent of bikes flow around you. Don't look left, don't look right. Just walk. This functioning chaos contrasts sharply with the mostly prudent macroeconomic course that Vietnam has been taking. The Doi Moi, or "renovation" economic reforms were launched in 1986, emulating China's move to open up its markets, after more than a decade of stagnation since the fall of Saigon to the Vietnamese communist forces. Vietnam has changed rapidly in the past 10 years, but locals say the country still lags behind its neighbours, such as Thailand and Malaysia, which have a gross national income (GNI) per capita of $3,760 and $7,230 respectively. Last year, Vietnam's GNI per head was US$1,010, highlighting the country's impressive progress on eradicating extreme poverty. Hanoi is a far cry from the quiet, inward-looking city it was prior to Vietnam's economic take-off, though rural poverty persists, particularly in more remote and ethnic minority areas. How to maintain this progress is the key challenge facing Vietnam's policy makers. Thailand and Malaysia are hemmed in by the so-called "middle-income trap", which suggests that while countries can move up from the ranks of the very poor, moving further forward is more complex, as competitiveness falls off and costs for investors increase. With the middle-income trap comes widening inequalities, as vast wealth often gets concentrated in a few hands. Kuala Lumpur this year announced ambitious plans to transform Malaysia into an OECD-standard economy, attempting to emulate the rise of South Korea, once one of the poorest countries in the world. Crucial to South Korea's rise was education reform, and that is one area in which Vietnam is doing well. In Hanoi, conversations with young Vietnamese professionals and students were all peppered with references to the importance of a good education to Vietnamese people. Investments in eduation and health were part of Vietnam's renovation reforms. Vietnam has just been promoted to this middle division of the international economic league tables, but wants to keep moving up the ranks. In common with much of Asia, Vietnam's economy is vaulting clear of the global slowdown – which in hindsight now looks more like a western malaise. Growth for 2010 is projected to beat the 5% recorded last year – though these numbers are down on the 6.5% -8% average for the previous decade. The opening, in October, of technology firm Intel's largest plant in the world, in Ho Chi Minh City, was a high-profile reminder of the country's emergence as an investment target for multinationals. Intel president and chief executive Paul Otellini joined Vietnam's deputy prime minister, Hoang Trung Hai, at the opening, with Hai remarking that the new facility "supports our goal of accelerating economic transformation led by technology-intensive industries". Less than a week later, at the culmination of the East Asian and ASEAN summits, held in Vietnam, US secretary of state, Hillary Clinton, witnessed the signing of investment deals by Microsoft and Boeing. However, Vietnam's move out of poverty and its economic growth owes a good deal to the thawing of its relations with the US and the subsequent forging of trade and investment links. The US is Vietnam's second largest trade partner, but its largest is China. Despite all the historic enmities - Vietnam was a Chinese colonial outpost for a millennium – the Chinese style of political economy was adapted. The ambivalence toward the emerging superpower to the north endures, with Hanoi now trying to balance the fears aroused by Beijing's growing assertiveness with the economic realities of having China as a neighbour. Vietnam has been sidling closer to the US, letting China know that it has options should Beijing lean too hard on its smaller neighbours. When the naval destroyer USS John S. McCain docked in Da Nang port in mid-August, the symbolism was rich. The ship is named after the grandfather of 2008 US presidential candidate John McCain, a former prisoner of war in Vietnam. However Hanoi's strategy will likely be a balance between the two giants. China's presence in Vietnam's central highlands has proved controversial, with plenty of criticism fired at the ruling communist party by bloggers and writers who think that the country's rulers have sold out to Beijing. Their focus has been on mining projects run by the Chinese, citing environmental concerns – a downside of Vietnam's economic rise - and the siphoning-off of Vietnamese resources to China. However, this outcry in turn has prompted a clampdown on opposing voices ahead of the five-year party congress, scheduled for early 2011. Around 20 activists have been arrested or jailed since October, a clear signal that, like China, Vietnam's one-party rulers will not cede power or allow democracy to play a part in its "renovation". And other damaging aspects of China's governance model have been adopted. Vietnam's two-child policy has doubtless done a lot to boost the country's progress in the millennium development goals in terms of reducing child and maternal mortality, but is leaving Vietnam with a demographic imbalance , just like China. In Vietnam, according to UN statistics, the birthrate is 112 boys to every 100 girls, as women have an average of three abortions in a lifetime, to meet the two-child policy.